Aztec Camera a Scottish Indie/pop/new wave band was formed by Roddy Frame, the group’s singer, songwriter, and only consistent member. 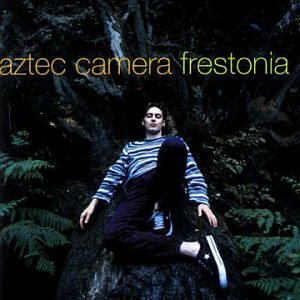 Formed in 1980, Aztec Camera released a total of six albums: “High Land, Hard Rain” (1983), “Knife” (1984), “Love” (1987),“Stray” (1990), “Dreamland”(1993) and “Frestonia”(1995).The band garnered popular success for the songs “Oblivious”, “Somewhere in My Heart” and “Good Morning Britain” (a duet with former Clash guitarist Mick Jones). The band’s first UK single release was sold in a 7″ vinyl format by Postcard Records a Glasgow-based independent record label co-founded by Edwyn Collins and Alan Horne—in 1981. The single featured the song “Just Like Gold” and a B-side entitled “We Could Send Letters”; an acoustic version of the latter song appeared on a collectable compilation album, entitled C81, that was released on cassette in 1981 through a partnership between NME magazine and Rough Trade Records. Frame, was just aged 16 years, He met Collins for the first time during the Postcard period when the latter was 21 years old. A second single, also released in 1981, featured the songs “Mattress Of Wire” and “Lost Outside The Tunnel”. Following the two 7″ vinyl releases with Postcard, the group signed with Rough Trade Records in the UK and Sire Records in the United States for their debut album. At this point, the band was officially a quartet: Roddy Frame (vocals, guitar, harmonica), Bernie Clark (piano, organ), Campbell Owens (bass) and Dave Ruffy (drums, percussion). 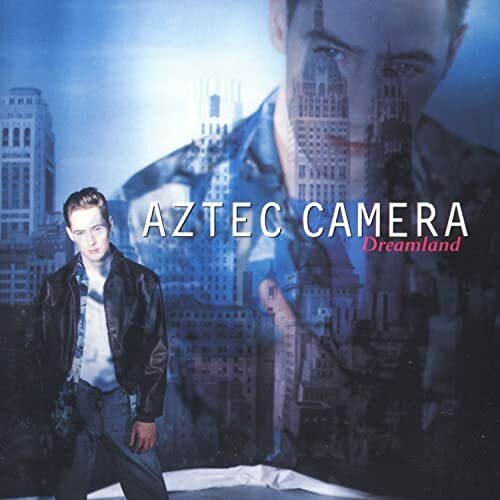 When it appeared in the spring of 1983, Aztec Camera’s debut album, High Land, Hard Rain, was an acoustic-driven breath of fresh air. Led by teenaged singer/songwriter/guitarist Roddy Frame, the Scottish band offered a batch of memorable songs that deserved a broader audience than they reached at the time, from the infectious “Oblivious” and “Pillar to Post” to the introspective “The Bugle Sounds Again.” Frame went on to release another five Aztec Camera albums before recording under his own name. Aztec Camera’s debut album, “High Land, Hard Rain” was produced by John Brand and Bernie Clarke for the Rough Trade record label. The album was released in April 1983 and was distributed in different formats on Domino Recording Co. The album was successful, garnering significant critical acclaim, Frame later revealed that the song “Oblivious” was consciously written as a Top of the Pops type pop song and received a corresponding degree of popularity. During the recording process for the album, Frame used a different guitar for every song. For the song “Orchid Girl”, Frame explained in 2013—during the 30th anniversary tour that he was attempting to merge the influences of his favorite guitarist at the time, jazz player Wes Montgomery, and punk rock icon Joe Strummer. 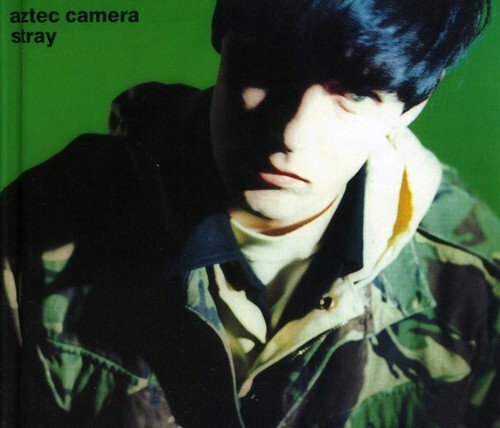 In a late 1990s television interview, Frame explained that a “boy” image was associated with him during this era, and that he was annoyed by it at the time, as he was taking his music very seriously—”you don’t want to be called ‘boy’; especially when you’re listening to Joy Division” but he eventually stopped caring about it. After “High Land Hard Rain”, Bernie Clarke left the band, and was replaced by Malcolm Ross on second guitar and backing vocals. 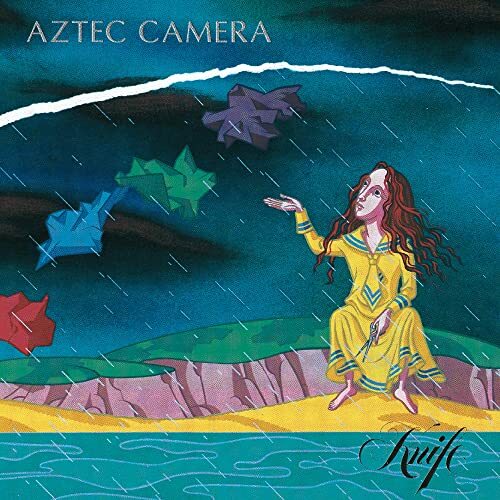 Aztec Camera changed record labels once again for the release of their second album, “Knife”, which was released through Warner Music . Frame revealed in a May 2014 BBC radio interview that he was not informed of the ownership arrangements of the record deal, stating that he was unaware as an 18-year-old that the record company would own the rights to all of his corresponding recordings. After “High Land, Hard Rain”, Frame spent a significant amount of time living in New Orleans, listening to Bob Dylan’s album “Infidels”. Upon reading that Dire Straits’ guitarist and singer Mark Knopfler produced the album, Frame began writing songs based on a sound that he thought Knopfler could work with. He’s [Knopfler] a great guitarist. recording techniques were great—you [Collins] would have liked him, ‘cos that was then, it was quite a thing. ‘Cos everyone was going digital, and going MIDI and all that, and his thing was all about using the right microphone. If you use the right microphone, then you don’t have to use too much EQ and all that stuff, and it was all about that. Yeah, I kinda liked that—the right mic[rophone], the right amp[lifier], the right kind of board and stuff. 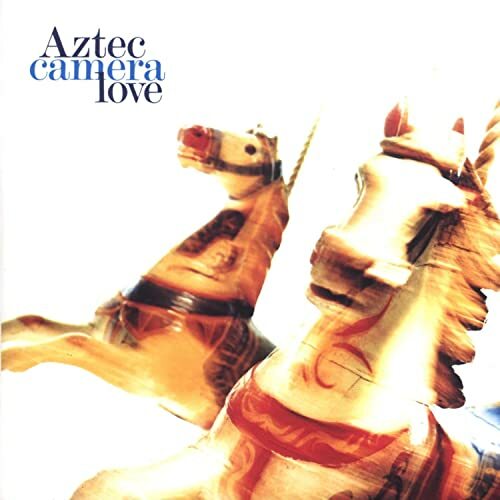 At the time that the band’s third album “Love”(1987) was created, Frame was the only original member of the band involved with the project; Love and future Aztec Camera albums were written and recorded by Frame under the “Aztec Camera” moniker, and session musicians recorded with Frame on a track-by-track basis. Frame explained in August 2014 that he contemplated the conception of “Love” during a three-year hiatus following the release of “Knife”. Frame said that he moved even further away from the British “indie ethic” and was listening to the “pop end of hip hop”, Frame wanted to make a record based on such influences and “Working In A Goldmine” the first song to achieve this aspiration. Frame relocated to the US to record the album—”pretty much against the wishes of Warner Brothers“, who were unsure of his decision-making at the time—and was primarily based in Boston, Massachusetts, and New York. Frame recorded with American session musicians, like Marcus Miller and David Franke, and explained that his audience was “mystified” by the transformation of the band, but he was “too far gone” to care and just wanted to do his “own thing” by that stage. Due to the significant change of musical direction, the album’s first three singles did not make a strong impression in the marketplace. The “Love” album produced the popular song “Somewhere In My Heart”, recorded by Frame with dance, R&B and pop producer Michael Jonzun in Boston. Frame said in 2014 that the song has been “great” for him, but at the time of creating the album, the song was not “in keeping” with the rest of “Love”, Frame revealed in a radio interview with the “Soho Social” program, presented by Dan Gray, that he considered “Somewhere In My Heart” an odd song and initially thought it would be best as a B-side. “Somewhere in My Heart” is the twelfth single and biggest hit by the Scottish band. It was released as the third single from their 1987 studio album “Love”. For the band’s fourth album, “Stray”, Frame collaborated with the Clash’s Mick Jones on the song “Good Morning Britain”, He and Jones also toured with the band following the album’s release. Jones performed as Aztec Camera at the Glasgow Barrowlands and the Ibiza Festival in 1990. In a 1990 interview, Frame explained that he wrote “Good Morning Britain” in 45 minutes after a two- to three-hour conversation with Jones in the canteen of a London rehearsal studio that both Big Audio Dynamite and Aztec Camera were using. In an August 2014 radio interview, Frame elaborated further, stating that at the time he wrote the song, Jones lived near his London home; Frame had visited Jones after recording the song and said to the Clash guitarist, “You’ll either sing on it, or you’ll want to sue me”, as Frame believed the song was so similar to Jones’ previous work. Frame then recorded the next Aztec Camera album,”Dreamland”, with Japanese composer Ryuichi Sakamoto. Released in 1993, While mixing the album at Hook End Manor, an 18th-century red-brick building that had been converted into a studio in the Berkshire countryside of England, UK, Frame explained that he waited for a lengthy period of time to work with Sakamoto, due to the latter’s busy schedule. Frame finally met with Sakamoto in Ibiza and both eventually recorded the album in New York City, US over a four-week period. Frame’s interest in Sakamoto was elaborated upon in a latter interview. I liked what he did when he was in the Yellow Magic Orchestra, and I also liked that album where he plays the music from Merry Christmas Mr Lawrence on piano. That’s where you realise that the atmosphere around his compositions is actually in the writing. Frame’s routine consisted of: working in the studio from the early afternoon until around 2. a turkey sandwich at a deli off Times Square (“because it was possible to get one at two in the morning, and for no other reason”); a cab-ride back to the Mayflower Hotel, where he was staying; an hour of listening to Shabba Ranks; and then bed. For Frame’s final album under the Aztec Camera moniker, and the last original studio recording for the WEA label, Frame worked with renowned production team Langer-Winstanley, who had previously worked with Madness and Elvis Costello. “Frestonia” was released in 1995 and the Reprise Records label issued it in the US. “Sun” (1996) was the only one song from the album that was released as a single. After the release of “Frestonia”, Frame finally decided to record under his own name in the future and was no longer a Warner artist. There has been three Aztec Camera “Best of” compilations released: “The Best Of Aztec Camera” was released in 1999 by Warner ESP. that specialised in compilations; in 2005,Deep and Wide and Tall was released by the Warner Platinum series; and “Walk Out To Winter: The Best Of Aztec Camera” , a two-disc collection that was released by the Music Club Deluxe label in 2011. Since the Stray Tour in 1990, Frame has merged a segment of the Bob Dylan song “It’s Alright Ma (I’m Only Bleeding)” into “Down The Dip”, from “High Land, Hard Rain”, and this version of the song was played by Frame at subsequent live shows, Around 2012, Frame included a segment of the Curtis Mayfield song “People Get Ready” in live solo versions of the song “How Men Are”, from the “Love” album. In October 2013, a book entitled The Lyrics: Roddy Frame containing the entirety of Frame’s lyrical work with Aztec Camera. Stray’s 1970 self titled debut album is one of those lost hard rock classics of all time , chock full of acid-tinged biker-rock , bluesy, harmonics-heavy dirges, Sabbath-y slammers , scratchy, wah-inflected funk rockers and shimmery pop gems , all of it drenched in Del Bronham’s speed-freak guitar work. The follow-up, 1971’s “Suicide”, is almost as good (check out the heavy-as-bricks title track), although by 1976’s “Hearts Of Fire” they had lightened up, as it were, a bit too much, and disbanded soon after. These days, the group, with Bromham on board, is back together, and has been hailed as an influence on a generation of British rockers, including Iron Maiden, who released a cover of their signature song, “All in Your Mind,” in 1990.